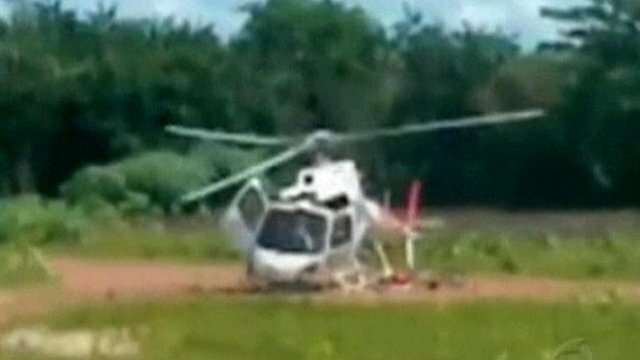 Helicopter breaks up on landing Jump to media player An investigation is trying to find out why a rescue helicopter disintegrated shortly after landing in the northern state of Para in Brazil, injuring four people on board. 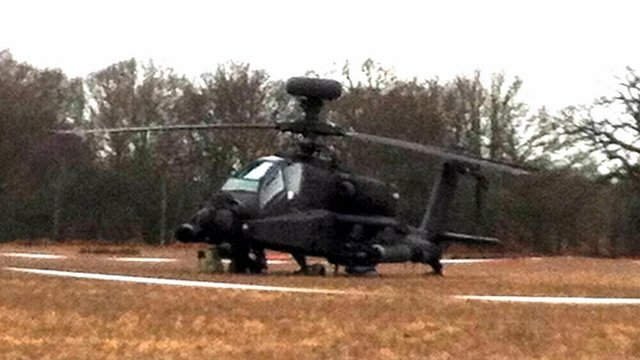 Helicopter brings down power lines Jump to media player An investigation has started after an Army helicopter on a routine night flight brought down power lines in Suffolk. An investigation is trying to find out why a rescue helicopter disintegrated shortly after landing in the northern state of Para in Brazil, injuring four people on board. Amateur footage taken by the Para Fire Department showed how the aircraft came apart while vibrating on the ground. Officials believe the helicopter experienced ground resonance, which happens when the rotor is working while the helicopter is on a level surface.